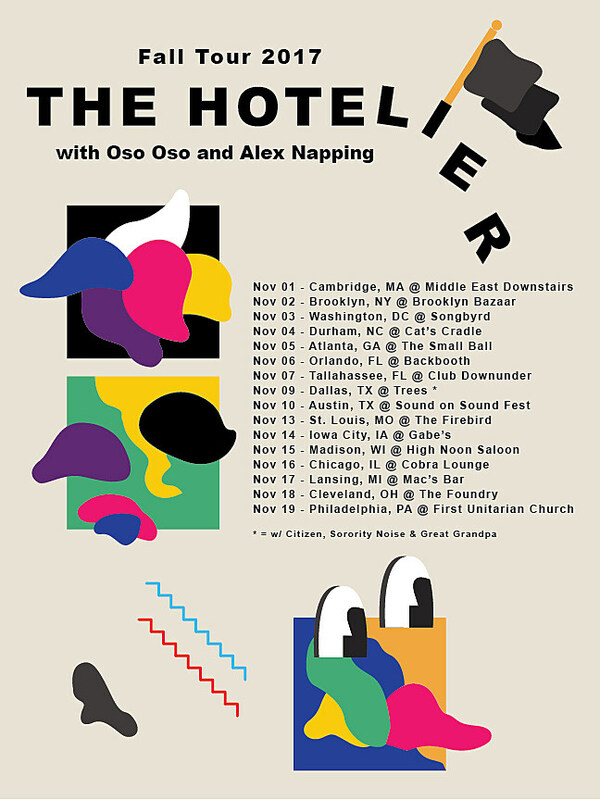 The Hotelier are touring with Oso Oso and Alex Napping this year in continued support of last year’s great Goodness. Having just played Chicago’s Riot Fest, they’ve added a Riot Fest-presented Chicago date to that tour: November 16 at Cobra Lounge. Tickets go on sale Friday (9/22) at noon. Show flyer and updated tour flyer below. 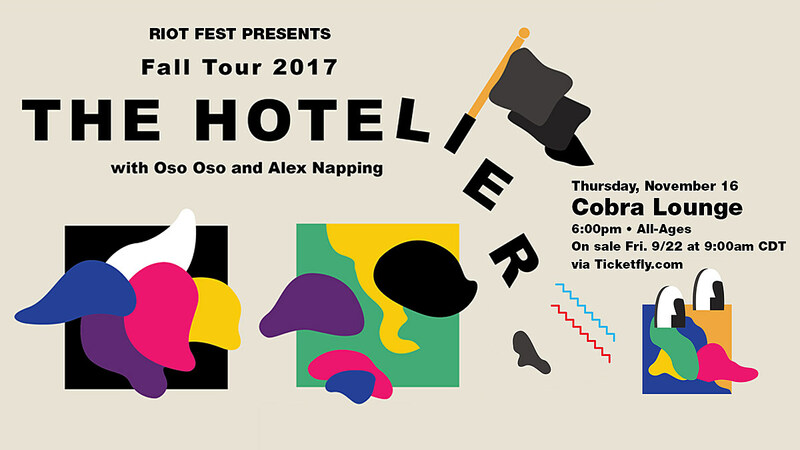 The Hotelier also play stacked Texas festival Sound on Sound and Atlanta’s mini version of Wrecking Ball called Small Ball. Updated dates are listed below. Photos of The Hotelier at Riot Fest are in the gallery above.